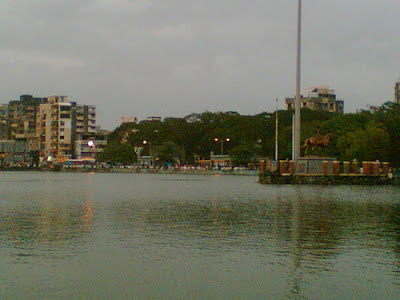 Thane city is stuffed with many places to visit including historic places, hills, lakes, creeks, forts and ancient temples. Modern thane offers many places of entertainment, fun and places where you can enjoy world class shopping. The malls and multiplexes in the city offer lot of fun and entertainment. Yeoor hills near Thane -The jungle camps here are the best means for the city crowds to get closer to nature. This region is rich with wild animals like leopards, Mouse deer’s and splendid varieties of birds. Masunda Lake and Upavan Lake - The beautiful lakes in the heart of the city are Masunda Lake and Upavan Lake. Masunda Lake is the best place to relax on the lake side and have some tasty fast food or go for a round in the horse cart. The boating facilities provide lot of fun to the children and families. Upavan Lake in Pokhran II area is the biggest lake in this city. It is popular as lover’s paradise. Thane creek - lists in the major conservation sites in India abundant with bird species and rare birds like golden plover, grey plover, hoopoe and avocet. There are ancient churches like St. James Church and St. John Baptist Church. There is lot to see in and around Thane. And to provide best accommodation and dining facilities to the visitors and tourists many hotels and restaurants have come up in and around the city. Our Hotel United-21 in Thane providing facilities of international standards leads the list of hotels in Thane. It is not only a hotel but an organized collection of various facilities and amenities under one roof and one brand called United-21. Visit our hotel a place having lots of happenings and events and avail the best of our services at affordable tariff.